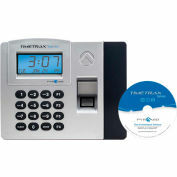 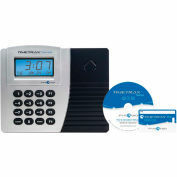 The 5000+ Auto Totaling Time Clock is mathematically inclined with automatic employee time totaling for accurate, error-free payroll tracking. 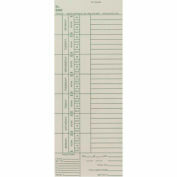 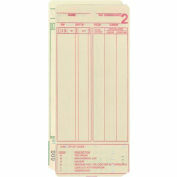 Tallies weekly, every 2 weeks, semi-monthly, or monthly pay periods for up to 100 employees. 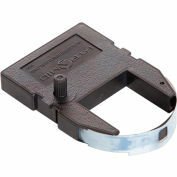 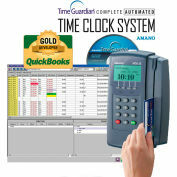 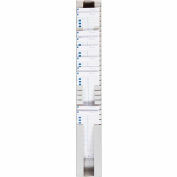 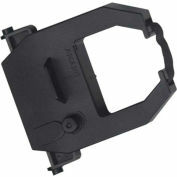 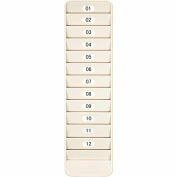 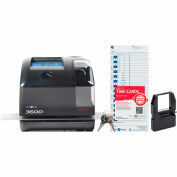 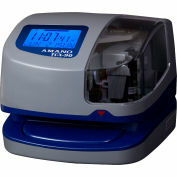 Automatic abound with top-feed & alignment to ensure quick & precise time card punches. 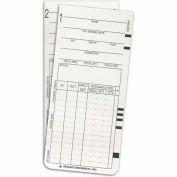 Prints in English, Spanish or French. 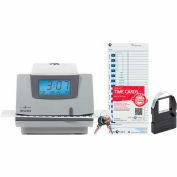 Compact, sleek design complements any work environment. 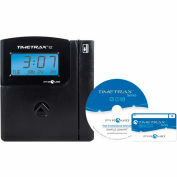 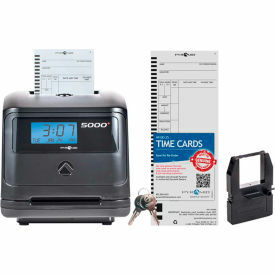 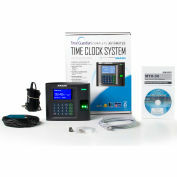 Simple set-up, simple operation & simple ribbon changes make this time clock a favorite with small business! 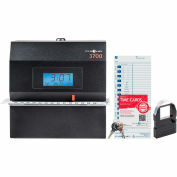 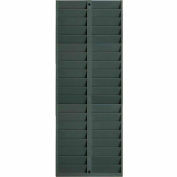 Operates on standard 115v, 60Hz.